As shockwaves from last week’s news continue, industry leaders express hope, concern. But for many, this is a huge deal—and dead serious. If it happens—and there are at least a few observers and a congressman who think the merger may violate antitrust laws—Amazon’s move into the grocery marketplace signals that the giant appears poised to realign consumer habits around how we buy quinoa, cereal, and meat in precisely the same way it changed the way we buy books, clothes, and detergent. “This is the first step to changing just how society shops for food in general,” says Mike Lee, a product consultant and founder of The Future Market. And, provided the sale doesn’t face antitrust challenges, a successful merger of the two companies will likely be a mixed bag for the sustainable food movement in America. Whether it’s a trend or shift that is here to stay, food that is perceived to be better for people and the planet is hot. The Amazon–Whole Foods deal confirms what organic and other natural food sales trends have been showing us for years. According to the Organic Trade Association, Americans spent $43 billion on organic foods in 2016—an increase of more than eight percent over the previous year. And Whole Foods has positioned itself as an alternative to the mainstream, even as it has worked to reach an increasingly mainstream audience over the last decade. And since the hedge fund Jana Partners upped its stake in Amazon in April, a move like this has been on the horizon. Several CEOs of natural and organic brands—even the companies’ direct competitors—said the merger validated their core principles, as they double-down on differentiating themselves. Gunnar Lovelace, co-founder of online food retailer Thrive Market—a retailer selling only organic, non-GMO products online—says his executive team was not in panic mode Friday morning. Instead, he said the company had recommitted to its principles of high-quality food, environmental sustainability, and fair labor standards in a way they feel goes above and beyond Whole Foods. Though the numbers have never been made public, analysts estimate that more than 50 million Americans, from all walks of life, pay for Amazon Prime. By joining forces with an organic grocer like Whole Foods, Amazon is poised to bring natural and organic food directly to more Americans than ever, at prices that could be more competitive with conventional foods. Reports are already surfacing to this effect. Bloomberg is reporting that Amazon wants to shed Whole Foods’ “Whole Paycheck” image and make it more competitive with larger retailers like Walmart. If this happens, affordable organic food could become the rule, rather than the exception—and find its way into more kitchens than ever. This includes those of many low-income Americans who lack access to affordable, healthy food. Already, John Foraker, CEO of organic food company Annie’s, has called on Jeff Bezos to commit to ending food deserts—urban and rural neighborhoods containing few healthy food options—by 2027. The ability for low-income Americans to use supplemental nutrition assistance program (SNAP) benefits online could assist this cause immensely. The United States Department of Agriculture is piloting a program, expected to launch in early 2018, allowing SNAP recipients in seven states to use their benefit to buy food online. Amazon is one of the retailers selected for the program. Chef Alice Waters, a leader in the good food movement, expressed her hope for the merger in a strategically crafted open letter to Bezos on Friday. “You have an unprecedented opportunity to change our food system overnight: It is time to demand that produce comes from farmers who are taking care of the land, to require meat and seafood to come from operations that are not depleting natural resources, and to support the entrepreneurial endeavors of those American farmers and food makers who do not enjoy federal subsidies,” she wrote. Of course, by essentially asking Amazon to bring its standards up, however, Waters’ goal may be at odds with the idea of bringing prices of this kind of food down for consumers. If an Amazon–Whole Foods deal is allowed to go through, every food retailer—big-box stores, online retailers, and even farmers’ markets—will feel the crunch, says Future Market’s Lee. Meal-kit delivery services like Blue Apron and Plated could suffer the most in the short term. Swallowing up lifestyle services like these would be easy pickings for the new grocery behemoth, Lee says, given Whole Foods’ access to quality food and Amazon’s logistics prowess. According to Barry C. Lynn, Director of the Open Markets Program at New America, that’s too much power for one corporation. Lynn’s organization condemned the deal Friday, calling it anti-competitive and asking regulators to reject the merger. While he does think anti-trust regulators must be vigilant, Parke Wilde, associate professor at the Friedman School of Nutrition Science and Policy at Tufts University, suggested the combined company is unlikely to be able to control prices as a monopolist does. In a healthy food system, he says, smaller farms and retailers would play a growing role, and he has mixed feelings about a merger of major corporations. “We should never forget that these are big corporations, pursuing their own profits foremost, but I still see some potential in a merger of Amazon and Whole Foods,” Parke said. For others, the deal could create a labor war. Bloomberg reported over the weekend that Amazon may be planning to lay off Whole Foods cashiers and replace them with machines. But beyond in-store employees, Michele Simon, the executive director of the Plant-Based Foods Association and author of Appetite for Profit, worries “about the additional pressures being placed on farmers and food manufacturers to lower prices” at a time when most of our food prices are not reflective of their true cost. “The driving down of food prices could come at a cost to farmers and every worker throughout the supply chain,” she told Civil Eats. 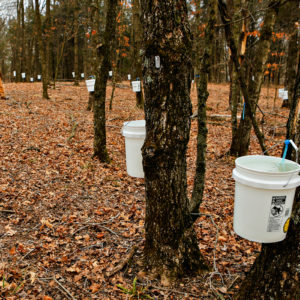 And even as demand for organic food increases in America, less than 1 percent of domestic fields are certified organic—and when domestic demand outstrips domestic supply, the practices that underlie USDA Organic-certified foods are sometimes put at risk. Expanding the supply of U.S.-grown organic foods is hampered by federal incentives that give the upper hand to conventionally grown food. So even if tens of millions more Americans begin to demand more humane and environmentally friendly food, the supply—at least here in the U.S.—will likely fall short. Question: How will this merger help end the food desert in many communities? If Whole Foods and Amazon decide to prioritize ending food deserts - they could essentially end hunger by providing food access to everyone. They could open markets that support local farmers directly, serve communities in need, and utilize Amazon's delivery services to transport food to those can't get to the stores. However, I doubt that these huge corporations will take on these issues of food justice and food insecurity when there is little to no profit to be made in helping people get access to food. But it would be awesome if they did! The industrial model of food (organic or not) only works with huge (direct and indirect) subsidies. The damage is real and expensive - from pollution and environmental destruction to workers in poverty (or laid off). 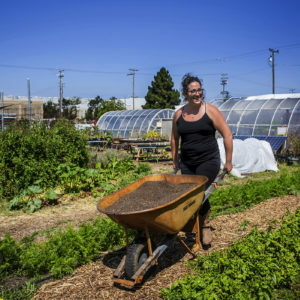 Local food systems end the abstraction, decentralize power and allow democracy to happen. Don't take food from a stranger. Know your farmer. I see the benefit of this merger creating a greater demand for, as the last paragraph states, "more humane and environmentally friendly food," and I see the hope that the money Amazon brings to the table can perhaps leverage that change in the farming industry. But Amazon doesn't have a very labor-friendly business approach, and producing anything, let alone food, that's created in ways that are more human and environmentally friendly seems to go against its business model. I share Simon's misgivings about this. 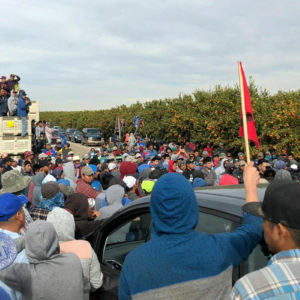 We need to protect workers while we demand humane and environmentally friendly food, and there may not be a way to do that if the bottom line is to make stockholders happy. Wow - this is such huge news and a great article covering it. 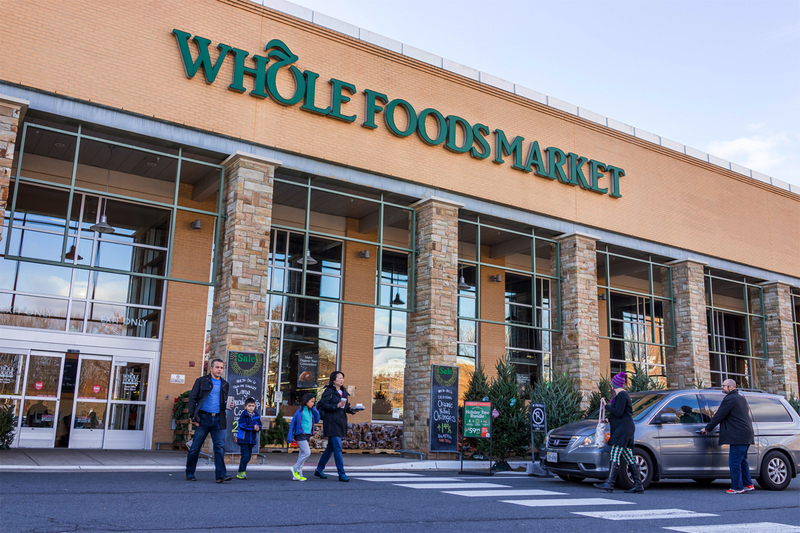 While I don't think Whole Foods is entirely evil, I fear what a merger with Amazon will mean for the future of our food system, the well-being of our local farmers, and the longevity of our farmers' markets and independent grocers. If these giants don't prioritize increasing access to local food and supporting local economies, every part of our food system will suffer. That second to the last paragraph is very powerful. As more and more people buy their food on line, the less is considered as to where it comes from. I have noticed with the increase of on line grocery shopping supporting local is sacrificed for convenience. I've also noticed in my business that the support local movement has come to a screeching halt. I do not understand why you think that more organic, fresh food will be available with this merger. When I go into the expanded Whole Foods now (let alone after the merger), I can no longer find local produce. I have to go to the nearest Farmers' market. Last week, in the middle of strawberry's prime season, they were carrying Driscoll's plastic boxes of them. The Farmers'Market had them freshly picked that morning! I would love to see more control in chicken production. I am in Tn and have to avert my eyes every time I see a truck stuffed with living chickens going down our roads. Such inhumane treatment is tolerated because there is no outlet for dialogue about poultry. Whole Foods was sued for labeling food "Organic" when, indeed, it was not. Why would we not expect amazon to do the same thing just for profits' sake??? I am missing something that proves this issue a threat....it will take a lot of trial and error for Amazon to grasp the supply side,refrigeration, purchasing issues.... Produce is a different paradigm than hard durable goods. Ill take a let's see stance in the mean time. My first concern is whether Amazon will do what it takes to support a supply chain of local producers and support production that does NOT use chlorpyrifos, avoids all use of glyphosate-laden GMOs, any other dubious/harmful molecules, and supports variety in plant species, was well as quality food production, like grass-fed animals. I find it hard to believe that anything good will come of what is going on with food when underlying everything is the fact that humanity is biologically out-of-control and capital is out-of-control.